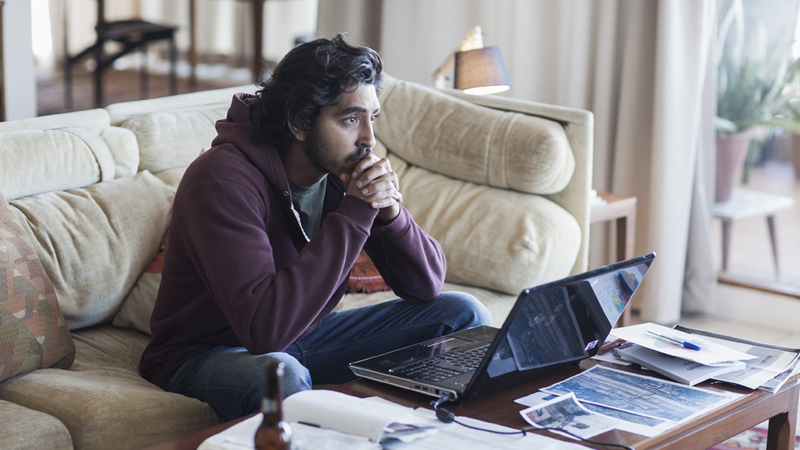 The first hour of Garth Davis’s Lion (based on the true story of Saroo Bierley) is one of the finest explorations of the human experience this year. We follow a young Saroo after he is devastatingly separated from his mother and beloved brother after following his brother on a late night job. After boarding a train and accidentally falling asleep, he’s transported to Calcutta, already a world away from his family and unable to speak the local language, a spec in this very vast and populated world. We watch in awe and sadness as Saroo (played at first by Sunny Pawar-a revelation) desperately searches for his way back home, growing increasingly wary of those around him who offer him help, realizing at his young age that just because adults are offering their hands, it doesn’t mean they’re worthy of trust and his needs continue to be put in the backseat in favor of others. Pawar is superb, his fresh, youthful face subtly clouding over as his sense of innocence and trust is stole from him. This journey is a fantastically, tear inducing experience and the story is undoubtedly poignant. Then however, Saroo is adopted by an Australian couple, Sue (Nicole Kidman) and John Bierley (David Wenham) and the story of his growing up and remembering then seeking out his family he was lost from, admittedly still moving, looses some of its initial momentum and spark. The film might’ve benefited from less time spent on Saroo’s couch as he clicked through Google Earth and more as he made the actual, physical journey. We became so immersed in the world Saroo as a child experienced that the transition to Dev Patel’s version of that world is jarring. However, before and after a lag at the start of the third act his story is just as compelling with Patel playing a crucial part in its success. Ever since breaking out big with the Oscar winning Slumdog Millionaire Patel hasn’t had a role of similar size or success since, either doing solid supporting work in The Newsroom or shining in smaller, lesser seen independent films when he wasn’t playing host to some of Britain’s greatest thespians in The Best Exotic Marigold Hotel. An immense talent, hopefully Lion will be the film that proves his leading man capabilities and also shines a line on just how nuanced and charismatic he is in a role written well. Patel and Pawar’s individual performances of the same character give Lion both its heart and its roar as they take us by the hand and show us their struggles and triumphs. Of the supporting players Kidman is the only who sticks out as a mother trying to keep her family together while Mara and Wenham doing solid work as well even if the former’s character Lucy seemed tacked on when a straight forward family drama would’ve sufficed. Behind the camera there’s a surmountable number of players who did their part to make this film shine, with warmly lit cinematography by Greig Fraser who finds the beauty of any moment and the score by Dustin O’Halloran and Volker Bertelmann whose combined skills build to moments of musical emotional poignancy. The movie, in its finest moments, are ones where every queue, every beat works together in unison to build something highly evocative, so that we see from Saroo’s eyes the world around him. Lion is tremendously moving and there’s much to celebrate about a story so unflinchingly optimistic yet that start of the third act is so destructive to the overall quality of the picture. A re-framing of sorts was needed, where we spent less time with Lucy and Saroo and their relationship, more with him and his adoptive brother and, especially as mentioned above, more scenes spent as Saroo makes that long journey to the home he for so many years had believed to be lost. Luckily, Lion isn’t so bogged down by the sluggish narrative to lessen its impact which is monumental. This is, at its very heart, a simple story about a young boy desperately wanting to be reunited with his mother again. A layer is placed on top that thread and now, it’s a story about a displaced young man grappling with what it means to have grown up in one world but feel like he belongs to another and how to correlate the two so that no party is feeling spurned. And lastly, as an added sheen to an already tremendous tale of the strength of human spirit, it’s a film about the journey that leads us to our true selves, which guides us and opens doors to possibilities we didn’t believe possible. It’s about family and love and grief and about how all three are so often intertwined with one another, where a family or relationship can begin the day cheerful and end dour, where a reuniting mother and son can pick up and hold onto each other for dear life yet not forget the family members they’ve gained and lost. Lion comes into the spotlight a movie that very much thinks highly of the human condition and the beauty of the natural world, presenting it both through the eyes of a starry eyed five year old, and a man who’s lived through tragedy but has been given a chance to live anew. This is a reprint from the Toronto International Film Festival 2016. For more TIFF 2016 coverage, go here.